Thanks to so many club members for their participation in the Harvest Drive 2012! Hundreds of families were personally loaded up with groceries and family fixins for Thanksgiving by club members for this special time of year! RC Coconut Creek helped cover three locations for the distribution days this year! It was a heartfelt project of service seeing so many people grateful for the support during a very difficult time in their lives! 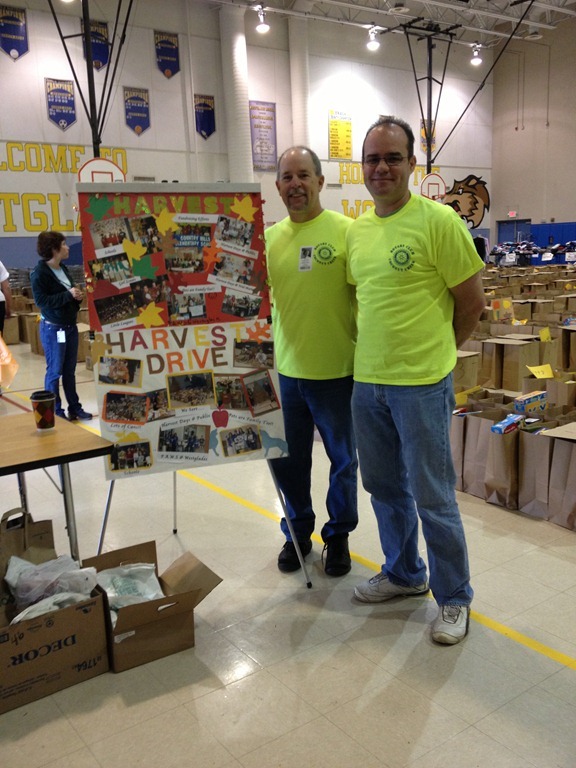 Congratulations to Rotarian David Mountford for spearheading the November service project for the club! Previous PostFirst Club Social- Bowling Night!Next PostThe Music Club visits the Creek!